Visitation for Kermon will be at Howard Funeral Home on Thursday, April 18, 2019 from 5:00-7:00 p.m. Service will be at Howard Funeral Home Friday, April 19, 2019 beginning at 10:00 a.m. with Kim Taube officiating. Burial will follow in Clarks Fork Cemetery. Kermon Woodward Neef was born on July 2, 1945, the son of Carl Neef and Ida Mae Rose. He joined the military and became a Buck Sergeant in the Army. Later he dedicated 37 years to the University Missouri. Kermon married Debbie Hoerl October 29, 1988. He enjoyed drawing and creating works of art. He worked on car engines and did welding metal works. 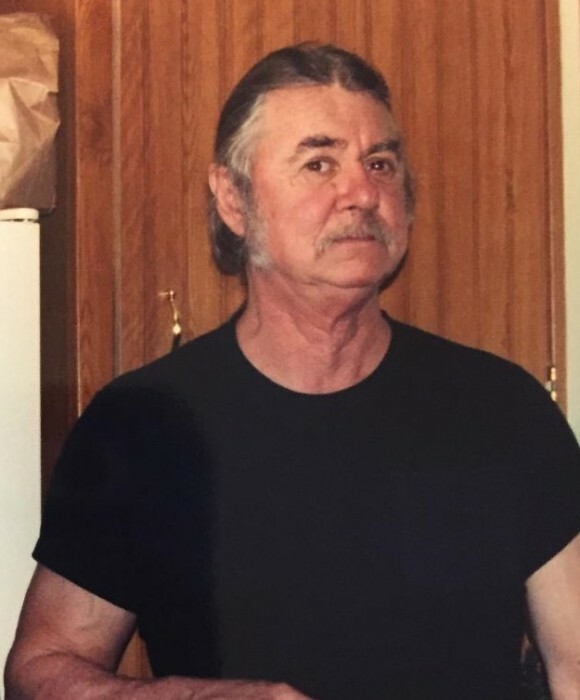 He had a love for the outdoors and most of his favorite past-times took place in Mother Nature including fishing, horseback riding, shooting guns, and Jeep adventures. He loved a good bonfire and a cold one. He taught many people the art of knife throwing. There was never a stray cat or dog as long as Kermon was around. He always opened his home, his arms, and his heart to all. Pop is gone, but not forgotten. He will forever be with us. Kermon was preceded in death by his parents Carl Neef and Ida Mae Rose. He is survived by his children Kermon “Woody” (Pat) Neef of Franklin, Missouri, Heather (Nathan) Robb of Boonville, Missouri, and Amber Schilb of Columbia, Missouri, nine grandchildren and eight great-grandchildren.